Designed to protect a Nintendo DS Lite. 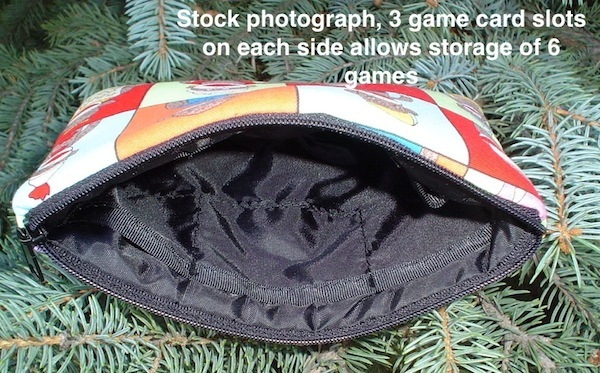 6 individual internal pockets, sized to hold your DS game cards. Pockets taped along the top edge to provide additional structure.